Women ruled the pop music scene in 2011, be they rising rappers, country crossover stars, or fallen idols. 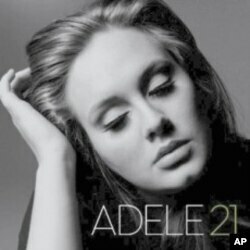 No pop album cast a longer shadow in 2011 than Adele’s 21. Released in January, it chronicled the young British singer’s struggles in a failed relationship. Already the 10th best-selling album of all time in her native England, it’s expected to sell 15 million copies globally by year’s end. Adele is nominated for six Grammy Awards, including Record, Song, and Album of the Year. She hopes to be able to perform at the February 12 Grammy ceremony, having recently undergone throat surgery. Diametrically opposing Adele’s confessional ballads are the supercharged hip-hop dance hits of Nicki Minaj. Last November, the New York rapper released her long-awaited debut album Pink Friday, and soon became a full-fledged star. Radio hits such as “Super Bass” and a slot on Britney Spears’ North American tour helped Nicki earn Billboard magazine’s nod for Rising Star of 2011. Earning the Billboard Woman of the Year trophy was Taylor Swift, who turned 22 on December 13. A star since age 16, she spent much of the year on a global tour promoting her third album, Speak Now. Highlighting her U.S. dates were guest appearances by other acts; stars ranging from Nicki Minaj and Justin Bieber to rapper T.I. gladly came when Taylor called. The young singer reinforced her squeaky-clean image by donating more than $1 million to charity over the past year. Providing a somber counterpoint to this female trio’s triumph was the tragedy of Amy Winehouse. The 27-year-old singer died from alcohol poisoning in her London home on July 23. Her final recording, a duet rendition of “Body and Soul” with Tony Bennett, was released in September to commemorate her 28th birthday. Sales proceeds go to the Amy Winehouse Foundation, founded by her father Mitch to help at-risk youth. The posthumous compilation album Lioness: Hidden Treasures topped the British album chart following its December 5 release. Women didn’t have the market all to themselves in 2011: rapper Lil’ Wayne was the year’s most successful male artist. 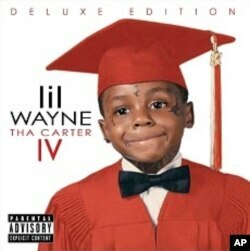 His album Tha Carter IV sold more than one million copies in its first week. Also enjoying a banner year was Bruno Mars. The 26-year-old singer - whose real name is Peter Hernandez - received six Grammy nominations. One, Non-classical Producer of the Year, honors his songwriting-production trio, The Smeezingtons. 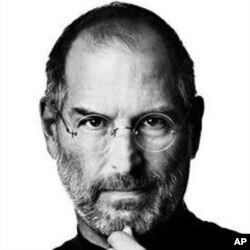 The man who revolutionized music retailing in the 21st Century, Apple co-founder Steve Jobs, died of cancer in October at age 56. 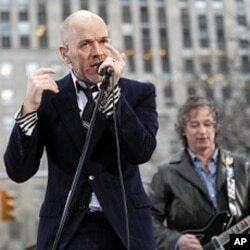 His iPod music player and iTunes store have irrevocably altered the global entertainment field. Also leaving us in 2011 were hip-hop performers Nate Dogg and Dwight “Heavy D” Myers; rock guitarist Gary Moore and Warrant singer Jani Lane; and musician-poet Gil Scott-Heron. In November, Michael Jackson’s physician Conrad Murray was found guilty of involuntary manslaughter in connection with the singer’s death in 2009. He was sentenced to four years of incarceration.